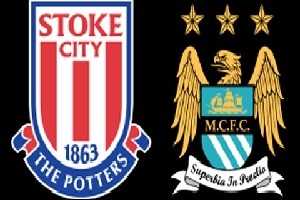 Stoke City and Manchester City are against each other in this Premier League game on Saturday. Man. City is the leader in the table with 29 points, while their opponent is taking the 12th place with 19 points after fourteen games played so far. This match will be played at Britannia Stadium and this is the only slight advantage for Stoke to make a good performance and to secure a positive result in front of their supporters. Manchester City has already qualified for the next round in Cl and they will put all their efforts to keep the 1st place in the league. Manchester City is far better than their opponent and I think this will influence the final result in the game.